The top spec Alfa Romeo MiTo has been given a refresh, with cosmetic improvements additional equipment and an improved interior. 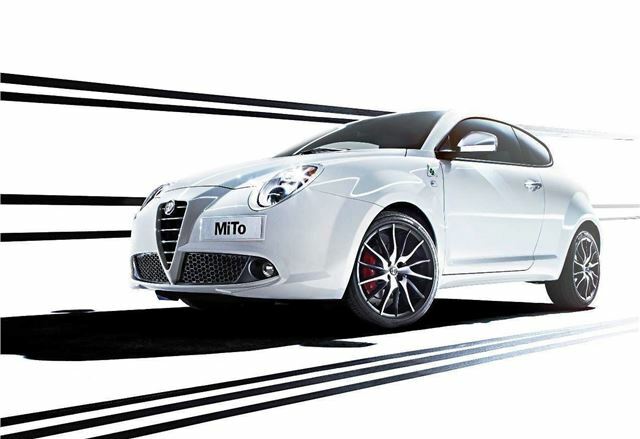 Formally called the Cloverleaf, the Quadrifoglio Verde model tops the MiTo range, and has now been enhanced with styling tweaks to body work, including a new front valance, new black surrounds for the fog lights, new badges, and large 18-inch wheels replacing the 17s fitted to last year’s model. Further subtle details include new satin effect wing mirrors, light surrounds and door handles. The interior has been enhanced, too with optional carbon fibre backed bucket seats trimmed in Alcantara. There are white and green details on the seats, steering wheel, hand brake and gearknob, lifting the ambience in an otherwise all-black interior. Standard equipment includes USB and AUX-in, Bluetooth, cruise control and there is also a selection of styling enhancements such as chrome exhaust pipes and aluminium pedals. The new Alfa Romeo MiTo Quadrifoglio Verde will be available from late July/ early August, priced from £18,755 on-the-road.